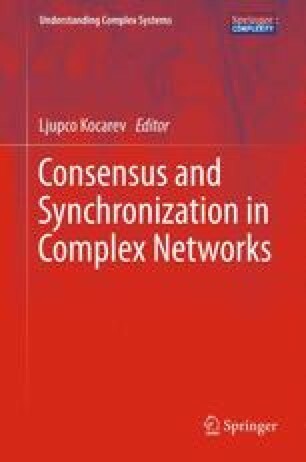 We consider a network of deterministic nonlinear oscillators with nonidentical parameters. Interactions between the different oscillators are linear, but the coupling coefficients for each interaction may differ. We consider the case where coupling coefficients are sufficiently large, so that the different oscillators will have their state variables strongly tied together and variables of the different oscillators will rapidly become (almost) synchronized. We will argue that the dynamics of the network is approximated by the dynamics of weighted averages of the vector fields of the different oscillators. Our focus of application will be on so-called supermodeling, a recently proposed model combination approach in which different existing models are dynamically coupled together aiming to improved performance. With large coupling theory, we are able to analyze and better understand earlier reported supermodeling results. Furthermore, we explore the behavior in partially coupled networks, in particular supermodeling with incomplete models, each modeling a different aspect of the truth. Results are illustrated numerically for the Lorenz 63 model. This work has been supported by FP7 FET Open Grant # 266722 (SUMO project).